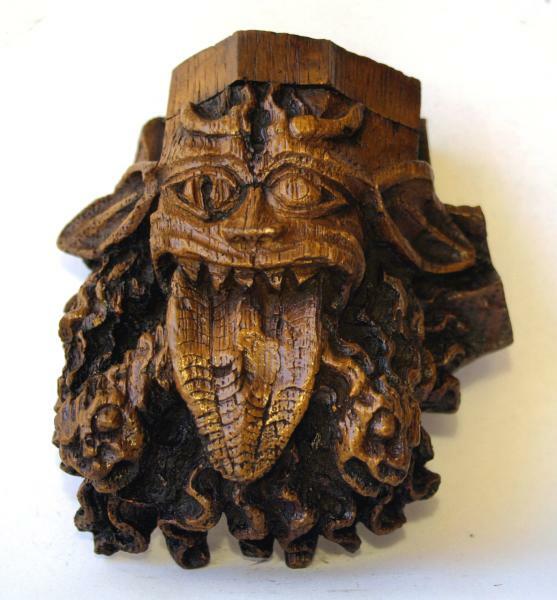 Taken from the ornate carvings found upon the misericords within the choir stalls of Chester Cathedral. This hand crafted reproduction has been produced from a mould taken directly from the original medieval carving and which captures all the fine detail applied by the master craftsmen that carved these in the middle ages, representing a true piece of England’s long history and heritage. 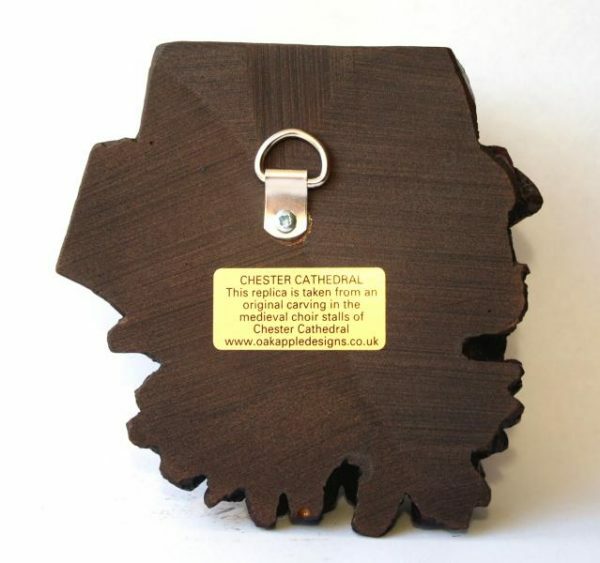 Taken from the Medieval (C.1380) carvings found upon the misericords and supports from within the choir stalls of Chester Cathedral. 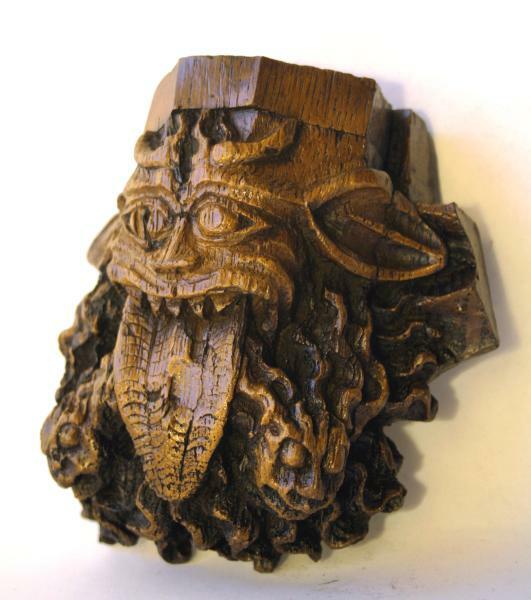 This carving from the 14th Century is called Grotesque Corbel and belongs to a category of church and Cathedral carvings known as a Grotesque. Very much like a gargoyle they are ugly little creatures primarily to ward of evil spirits and protect the good citizens and parishioners of the church. 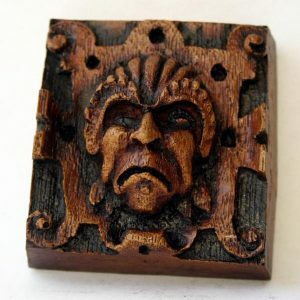 The main difference being a Grotesque is often carved from wood and is found on interior decoration, the Gargoyle is found outside made of stone and spouts water from the mouth. A Gargoyle is used mainly used as an elaborate drain exit where excess water from the roof is channelled and poured away. This comes from the French term to gargle. This little man has his tongue stuck out which is one of his most distinctive features, apart from this within the beard there are two smaller faces appearing through is facial hair. This reproduction has been taken from the original carving that captures all the fine detail that is found in the original. Designed to be wall mounted this artefact makes a magnificent and eye drawing focal point in the home. Comes with a hanging hook and product label. Size (H) 12cm x (W) 11cm. 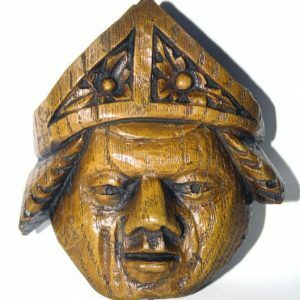 This one of our unique and exclusive hand crafted Medieval reproduction carvings. 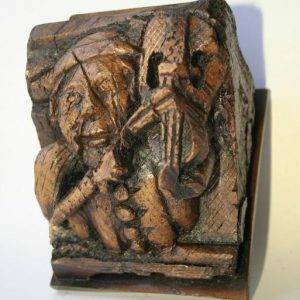 This is a cast replica produced from a mould taken directly from the original carving found within Chester Cathedral, England. We have exclusive permission to take moulds from original medieval carvings from within the Cathedrals & Abbeys of Britain and to then reproduce them for sale. These reproductions are cast from a resin composite and then stained to give the product all the fine detail, feel and authenticity of the original carving. v This is great opportunity to purchase a true piece of England’s Rich cultural History. 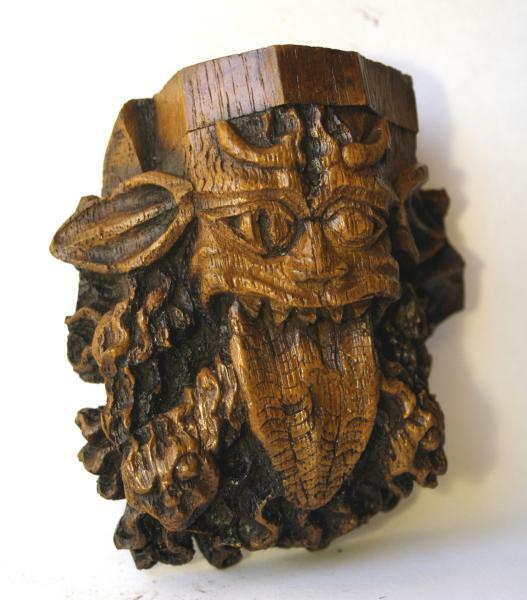 v Our reproductions are so authentic, copied directly from the original carvings they include all the original cracks & chips from over centuries of use along with wood worm, wood grain and the makers tool marks. Beautifully colour stained and toned they are virtually indistinguishable from the originals. v Our Exclusive & unique range of items make the most perfect & unusual gift for all occasions and one that shows a true thought in choosing from the sender.